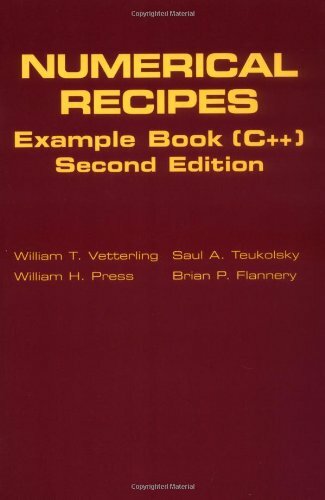 This example book contains C++ source programs that exercise and demonstrate all of the subroutines, procedures, and functions in Numerical Recipes in C++. The book will be a valuable aid to readers wishing to incorporate Numerical Recipes procedures and subroutines into larger programs and to conduct simple validation tests. This example book contains C++ source programs that exercise and demonstrate all of the subroutines, procedures, and functions in Numerical Recipes in C++. The book will be a valuable aid to readers wishing to incorporate Numerical Recipes procedures and subroutines into larger programs and to conduct simple validation tests. Each example program contains comments and is prefaced by a short description of what it does and of which Numerical Recipes routines it exercises. In cases where the demonstration programs require input data, those data are also supplied. In some cases, sample output is also shown.